A majority of investor voting on corporate policies is done by proxy, and a majority of investors are unaware that proxy voting is rife with controversy. Conflicts of interest, robo-voting and transparency are issues shareholders and corporations have with the proxy advisory companies that make recommendations to investors. 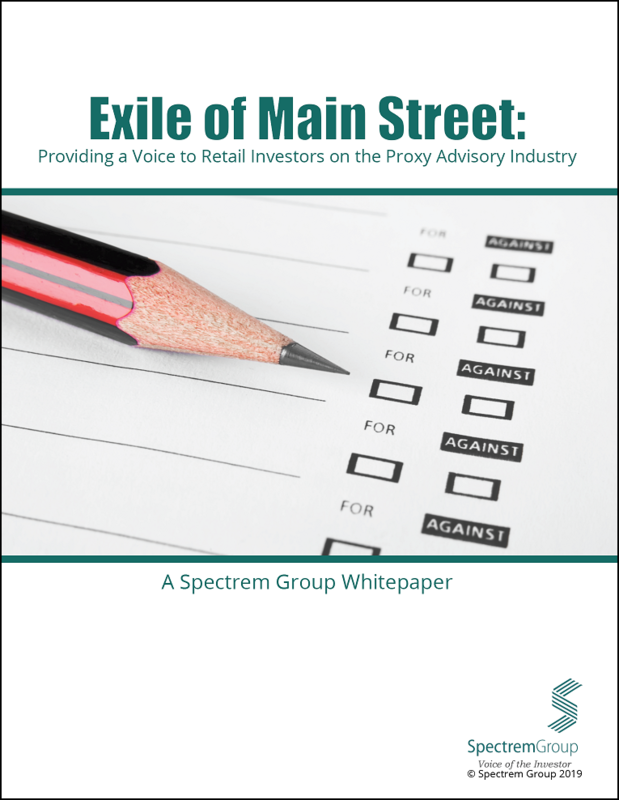 Exile of Main Street: Providing a Voice to Retail Investors on the Proxy Advisory Industry explains the concerns investors and shareholders have regarding the proxy process and details those circumstances where investors would encourage increased SEC oversight of proxy advisory companies.